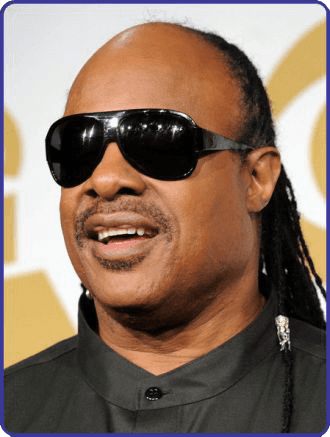 With over 50 years in music, Stevie Wonder is definitely a cornerstone in understanding music as we understand it today. He helped redefine black music with their songs of the 60's, and especially with his creative explosion of the 70's. A new step for the calendar reminded us that Stevie is a year older. Gone are many moments to remember, and I think comes to mind that the music changes, evolves, and perhaps for generation does not belong to he. But he still has a natural talent, or perhaps a divine gift that gets the emotions of his audience does not find barriers that stop. He has managed to keep alive his musical DNA, being today the living artist most genuine, authentic, and creative skills where artists can drink. Just watching as still enjoying with the music, you can understand that Stevie is a unique person. Continues impregnating the music with an unmistakable stamp that stimulates the senses. Virtuous on the keyboards, with his powerful voice and a unique ability to make the complex simple, creating melodies with genuine essence. He once said: "I have a problem with the eyes, but I count with my ears and heart" ... and was full of reasons. His music can only be conceived if someone possesses a heart and special ear, and he alone could create melodies and lyrics that impact full deep soul, hatching pulses of shudder in every cell of your body. A special heart that suffers and beats with rage to the pain of a world gripped by the coldness and hatred that arise from primitive grasp of the human race. However, is also a heart that beats strongly infected by emotions, the tolerance and generosity with which humans sometimes seem to be trained. A heart full of life and sensitivity, which beats in unison with many of us. Synchronized hearts of people from all continents, races and religions who have tuned with a one man. A man owns a heart huge and generous, full of strength and love to share, and despite as he said us in one of his songs "Heaven is 10 zillion light years away", he is very close to our souls, he is a god in the music and holder of a legendary heart. No people, "where is your God?"